Barford Beach House – It’s cool to go Coastal. 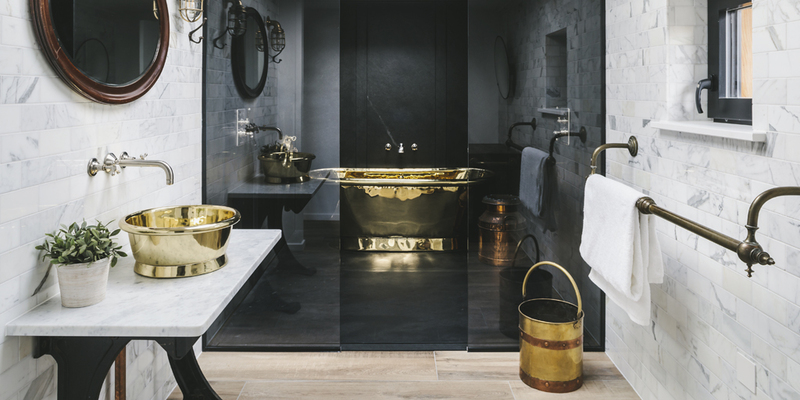 With industrial luxe interiors, magical features and quirky design, Barford is a luxurious coastal homestay with an uber chic edge. Rustic enough for a homely vibe yet cool enough for the most dedicated urbanites; Barford is a beach house with a difference. From the moment you enter through the magnificent double height doors into the zinc clad atrium, the scene is set for a wonderland of luxurious surprises. 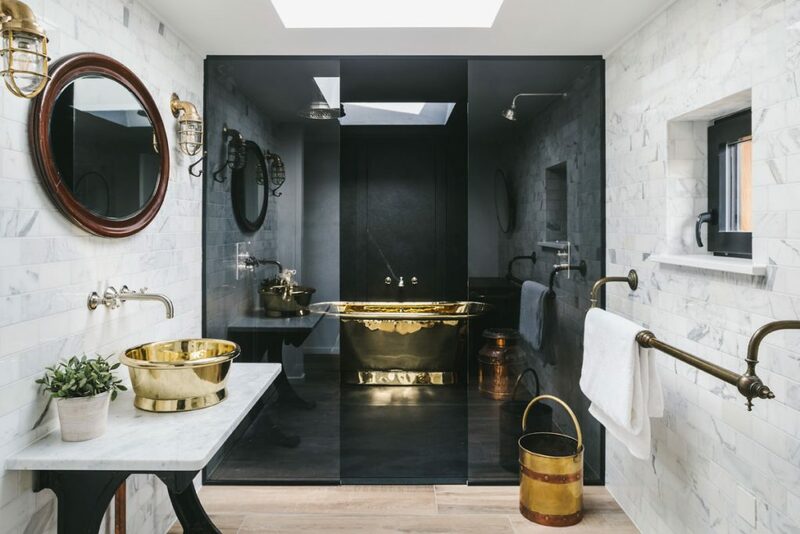 Every detail, from the gleaming brass bathtub, to the Parisian street lamp chandelier and copper clad kitchen oozes industrial style. Featuring 6 ensuite bedrooms with floor to ceiling views over the Cornish ocean, each room opens onto a spacious sea view terrace. 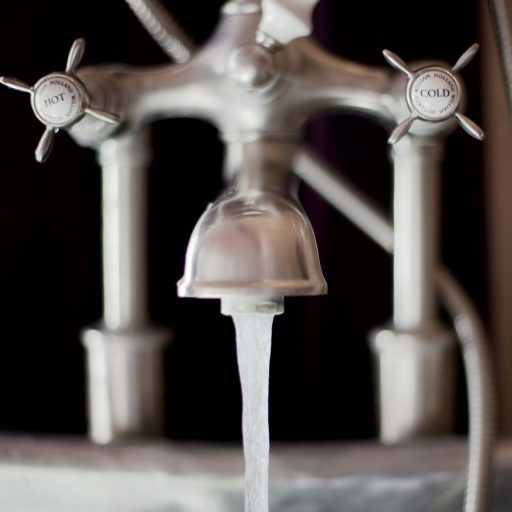 Individually designed and unique, each suite offers a sumptuous retreat from the communal areas of the house. Designed with quirky details and magical touches there is plenty to delight the young and young at heart alike. 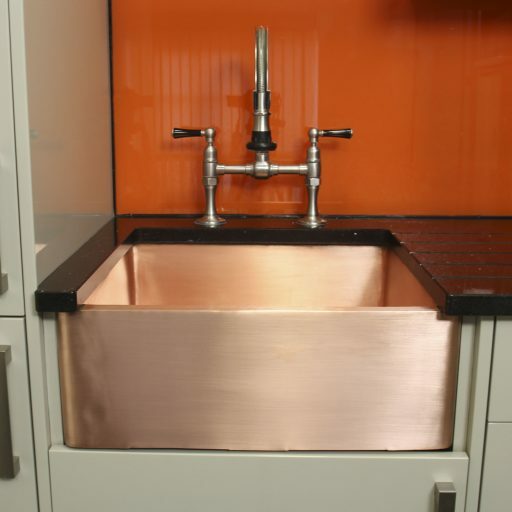 The industrial-luxe and quirky themes continue into the bathroom interiors. 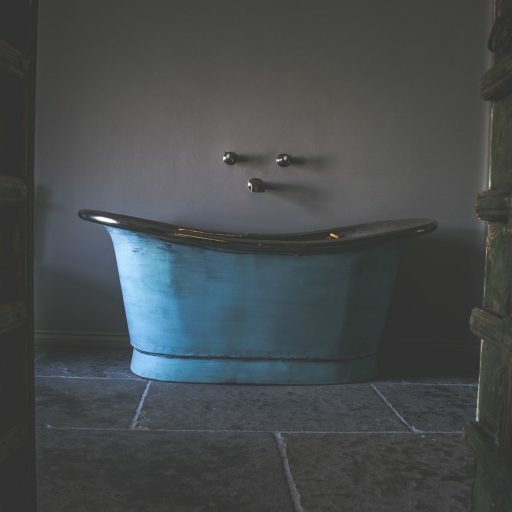 One is decorated with pages from Alice in Wonderland bathed in light from the rainbow of aqua hues cast by a bespoke coloured skylight, whilst another takes us back to simpler times with a handcrafted William Holland Slipper Bath. 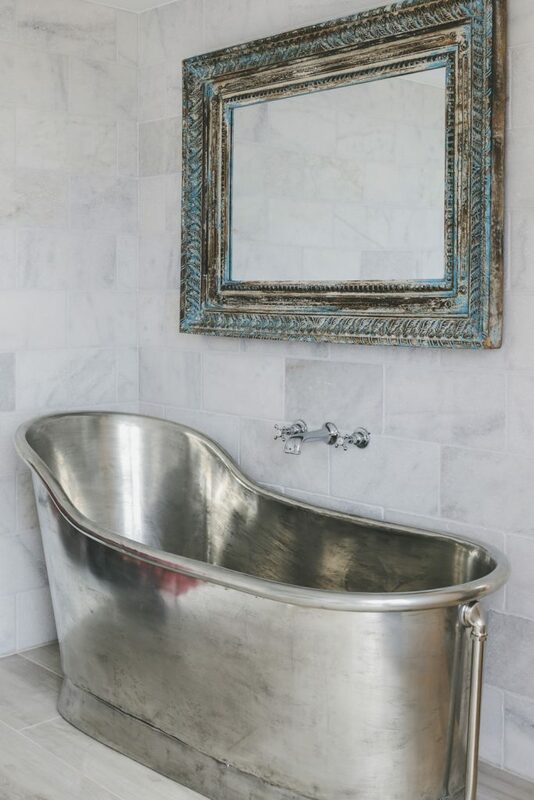 With a rustic tin finish, complementing the sense of urban chic, the tin bathtub is paired with a handcrafted Curva Basin skillfully deck mounted on a vanity unit fashioned from an iconic Singer Sewing Machine stand. The master suite however is truly astonishing. With its palatial proportions, private cocktail bar and stunning bathroom design these rooms will have guests clamouring for custody of this breath taking space. Be sure to draw straws… or dual at dawn… to decide on this rooms’ custodian. It’s the only fair way to decide! 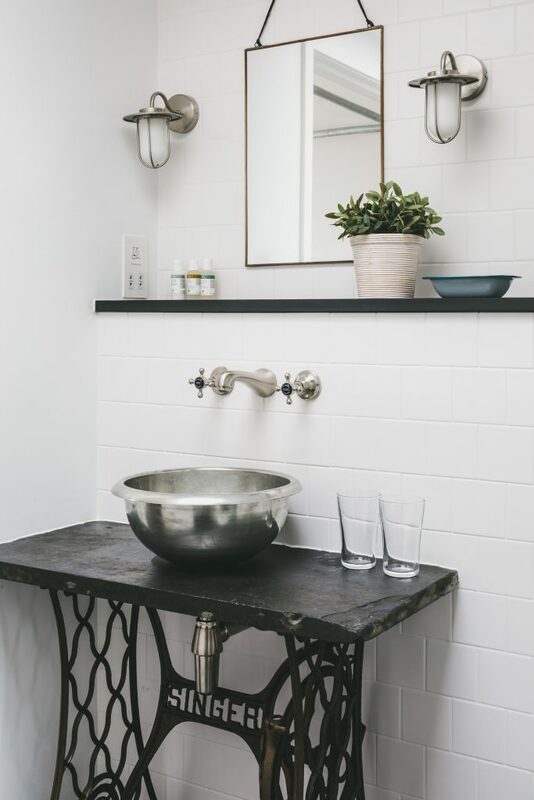 A backdrop of white marble metro tiles combines the use of natural materials with an industrial edge that serves to create a luxurious but urban space. 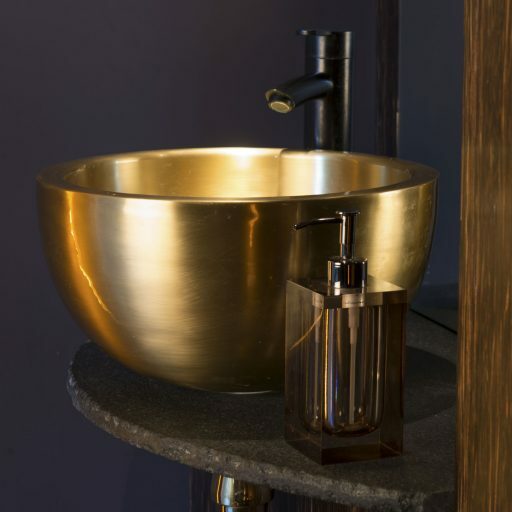 Antique brass fisherman’s lamps illuminate the porthole mirror, whilst a gleaming brass Rotundus Basin adds a glamourous centrepiece to the overall design. 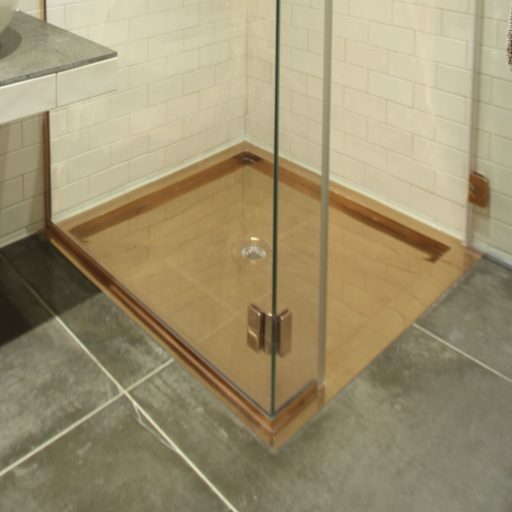 In dramatic contrast, two glass screens separate the washroom from the wet room space which is decorated in a deep charcoal tint. 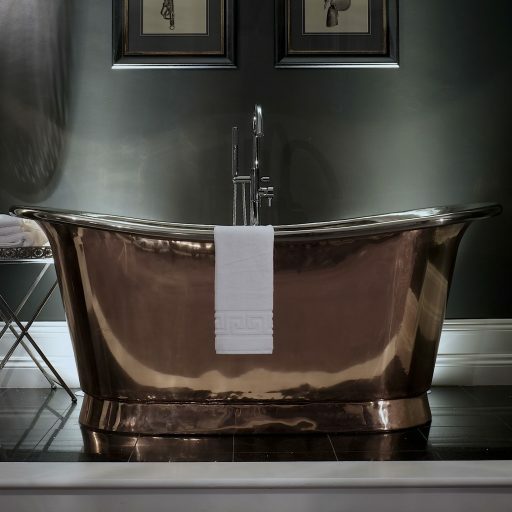 Against this stunning background the statement Brass bathtub shines and illuminates the space with an almost fairy tale quality. Secluded in this theatrical oasis, guests can soak away the hours in pure luxury while gazing out on the bay through the delicate porthole window. Outdoors the wood fired Hot Tub provides al fresco bathing whatever the weather, whilst indoors guests can cook up a storm in the copper clad kitchen before dining with floor to ceiling views of the North Cornish Coast. For evening entertainment there is even a private cinema room, and an underground Bunker Bar provides a party den atmosphere with all the fun of the fair. Barford Beach House somehow manages to combine the luxury of a Boutique Hotel, with the character and laid back welcome of a family home. Magical, surprising and full of fun, there is something for everyone in this extraordinarily special place.